If you’ve read the Disney Parks Blog in the past, you might have run across some of my posts, photos and videos that show some of my interests. I love Disney Parks (of course); I’m curious and enjoy new experiences. But here’s something you probably didn’t know: I love dragons. Always have. When other kids on my block liked dinosaurs, I liked dragons. And what’s not to like? Some can fly, some breathe fire, some protect castles and some attack them. Some are good, some are evil. But they are all magical. For me, Disney and dragons share that quality — they’re both chock-full of magic. In this video, I take you into my home for a look at a discovery I recently made online. I found something that could be the greatest dragon I have ever seen. But I’m not sure. Maybe it’s an internet hoax, maybe it’s an albatross or condor. But maybe, just maybe, it’s a dragon. I want to believe it’s a dragon. I will find out more, so stay tuned for updates. And if you want to see exactly how much I love dragons, take a look at my dragon-centric Tumblr blog: disneydragons.tumblr.com. If you have your own dragon stories (or possible sightings!) to share on Twitter, use the hashtag #BelieveInFantasy. Because isn’t that what “magic” is all about — believing? i have a sneaking suspicion that this dragon may like apples…. I hope it is for either the MK or AK. Just hoping that Avatarland is a dead concept now. I am not sure where a dragon will fit into Fantasyland though. I love dragons! I hope this means Disney is going to get a magical beast section in Animal Kingdom! Really hoping this is something of substance and not just a diversion. An attraction featuring dragons would be awesome. What is that “Stop Dragon My Heart Around” record by Pete & The Elliotts”? A promo for the film? Was it ever released? Gary – I’m pretty sure I remember reading, a few months back, that Disney was designing a FLYING DRAGON to use in the parks. There have been several sightings. Disney Imagineering ROCKS!!!! Are you kiding its a bat! This looks fantastic! I will definitely be following the tumblr account and will be looking toward the skies when we are there in one month! Hopefully I will spot it! This looks like the video supposedly taken at Disney’s own “area 51” where they test things. It looks and sounds like a dragon being tested for the new Avatarland at Animal Kingdom. 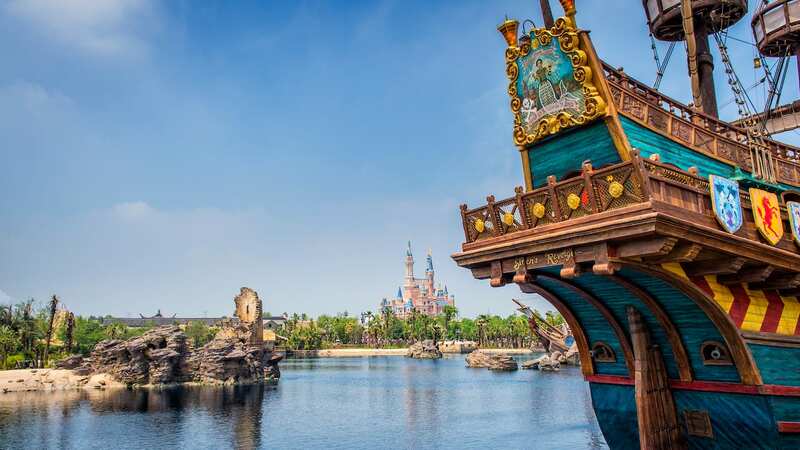 Considering it took 7 years from concept to completion for the new Fantasyland… sounds about right to me! Can’t wait to see whats going on! Going there Saturday for the Preview then Dec. 7th for MVMCP!!!! I can’t wait to see what this is about! I love dragons. 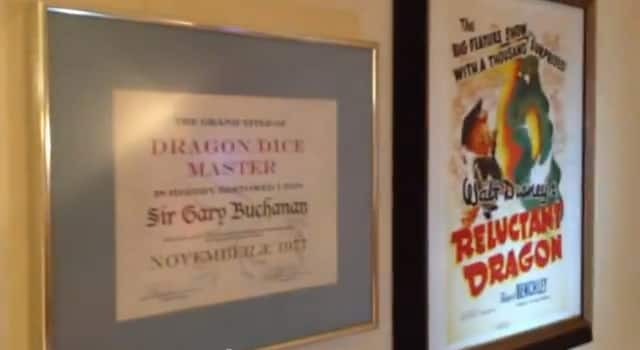 I love the little touch that his Master Dragon Dice award was from November 3, 1977- the day that Pete’s Dragon premiered! Could there be an unannounced attraction in New Fantasyland that they’ve kept very quiet and hidden involving dragons somehow? Our family is waiting for an Elliot the Dragon ornament to be added to the Disney Store Sketchbook ornament collection or to the Disney Parks holiday merchandise. One of him flying with his little wings would be cute. Our family’s favorite dragon is Elliot from Pete’s Dragon! We’re following the blog on tumblr. I love dragons too! 🙂 I even have two pet bearded dragons… not technically dragons in the typical sense (but don’t tell them that!). I love the way that Disney brings the magic to life. I can’t wait to find out more! Beginning with the Unicorn parking lot down to the dragon in the middle of the symbol for Animal Kingdom. I wish dragons and unicorns would really find their way to Animal Kingdom! Woh! Has Imagineering created their own flying dragon audio-animatronic or something? If they have, then I’ll be really surprised! Should we be looking skyward if we are in Orlando over the next couple weeks? Let’s say any date before December 7th? I’ve often thought Disney needed more dragons. I loved Maleficent’s dragon form being in Fantasmic! so I’m hoping this means a dragon or two in the new Fantasyland. That’d be fun. Hmmmmmmm…. this looks like something I have seen before? I wonder where? OK, you’ve got me. I give. I gotta know what’s going on here.